In 2018, we saw a variety of emerging trends coming from the Digital Publishing world. We witnessed many publishers go back to basics with increased investments to SEO, which is a more stable and predictable traffic generation strategy-- versus Facebook, for example. Additionally, publishers explored the next frontier: AI, to help deliver more relevant and engaging experiences for their readers. This is a fairly new area for publishers, and if done well, it can create a serious competitive advantage. For example, the New York Times utilized data science and machine learning to determine the optimal time to show subscription prompts to readers thus increasing their subscription-based revenue . Many digital publishers made subscriptions their main priority, which is an effective strategy since it is an owned and operated monetization and distribution strategy. In addition to these traditional tactics, new website redesigns, increasing partnerships, podcasting, and networking events all contributed to the success of digital publishers in 2018 🎉. Ultimately, a key theme that all of this comes back to is the importance of developing more direct relationships with readers. A stronger relationship with a reader means reducing the risky reliance on third parties, stronger ability to distribute content directly to readers, and increasing your understanding of your audience to help you create better content and deliver a better on-site experience. So, how does all of this information help you? 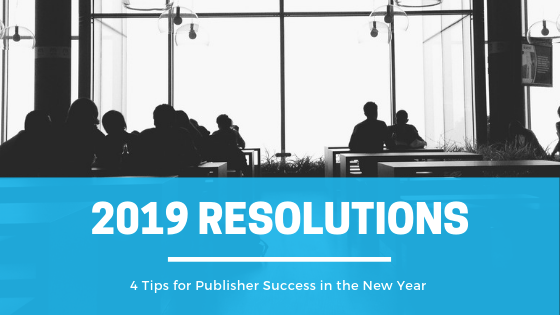 We put together some helpful resolutions for digital publishers to follow in 2019! Double down on your SEO and content strategy initiatives. Repurposing old pieces, reviewing your mission and site architecture, and expanding on evergreen topics that can be promoted and reshared time and time again. Invest in partnerships that can provide opportunities to particularly grow your membership and offerings such as Instagram TV, Apple News, and many more which you can check out here! Consider refreshing your website and/or integrating new technologies that can help you deliver better experiences for your readers. Our new reactions tool is an excellent example of a feature that you can add to your site to increase engagement. Some publishers are also using AI tech, and you can see some examples of that in the link above! Become more customer/relationship-centric and make planning the central focus in executing initiatives.